While an outdoor wedding ceremony on a perfectly sunny day can be beautiful and a bride’s dream, an indoor ceremony should not be ruled out. An indoor ceremony definitely has its advantages beyond protection against inclement weather. Below, a premier event venue in Northwest Indiana will explore everything you need to know about an indoor ceremony. An inside wedding ceremony definitely has its advantages. While some use an inside ceremony as a contingency plan for poor weather, there are many couples who prefer to make an indoor wedding ceremony their first choice. They are making the comfort of their guests and control of the look of their ceremony a priority. Even in the best of weather, outdoor events always invite the unexpected. Wind blows off hats and messes up carefully arranged decorations. Unwanted critters and insects join the ceremony, making guests uncomfortable. The sun makes the guests too warm as they wait for the bride to make her appearance, or cloud cover and cool breezes chill guests to the bone as they struggle to hear the vows through a portable speaker system. During an indoor ceremony, the event planner has much more control over the look, feel and sound of the whole event. A well-equipped sound system projects the couple’s vows and the officiant’s sage words at just the right volume. Decorations stay fastened in place, and the guests remain comfortable. While the unexpected may still happen during an indoor ceremony, it typically won’t come from Mother Nature! An indoor ceremony is all about creating whatever look you desire. Your imagination can run wild. An elegant wedding filled with white flowers and red roses may be your cup of tea. Perhaps your crew would prefer a Star Wars theme wedding with Admiral Ackbar officiating against a backdrop depicting the Death Star. The sky (or your imagination) is the only limit with an indoor ceremony. What Kind of Venue is Right for Me? There are several important considerations to keep in mind when selecting an event venue in Northwest Indiana for your indoor ceremony. When searching for an event venue, you are looking for a blank canvas on which you can project your desired look. An open-space floor plan is a must. You do not want posts, pillars or any other visual obstructions to block your guests’ view of the ceremony. You are also looking for a venue that has versatile lighting. Can the lighting be adjusted to different settings to achieve the look that you are going for? Sound is another major consideration. How are the acoustics? Does the venue have a high quality sound system, or will you need to rent one separately? Check out the restrooms. Are they clean and large enough to accommodate your party? Finally, examine the parking situation. Is there going to be ample parking for all of your guests? 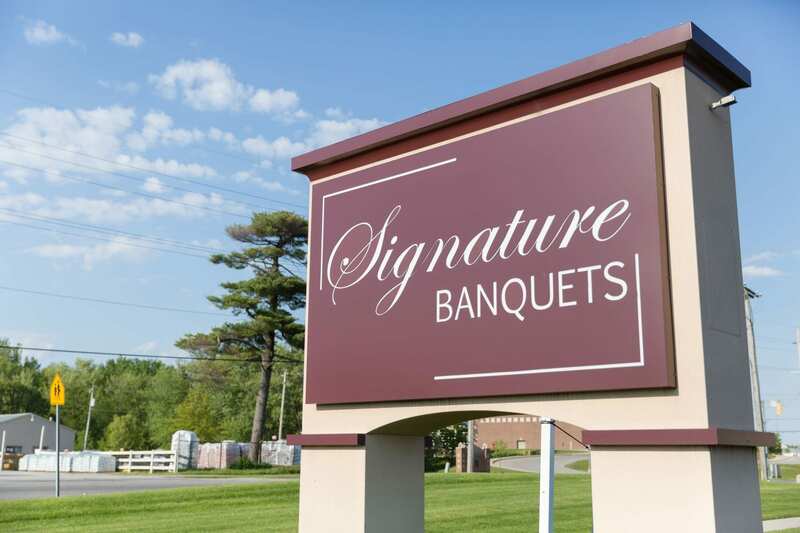 If you are considering an indoor ceremony, we hope you’ll consider Signature Banquets for your event venue in Northwest Indiana. Our staff has over 30 years of experience in the industry to provide you with the expertise to handle your special day. Give us a call today to begin planning your indoor ceremony.